The International Court of Justice will webcast live its next set of public hearings – in the case concerning the Frontier Dispute (Burkina Faso/Niger). 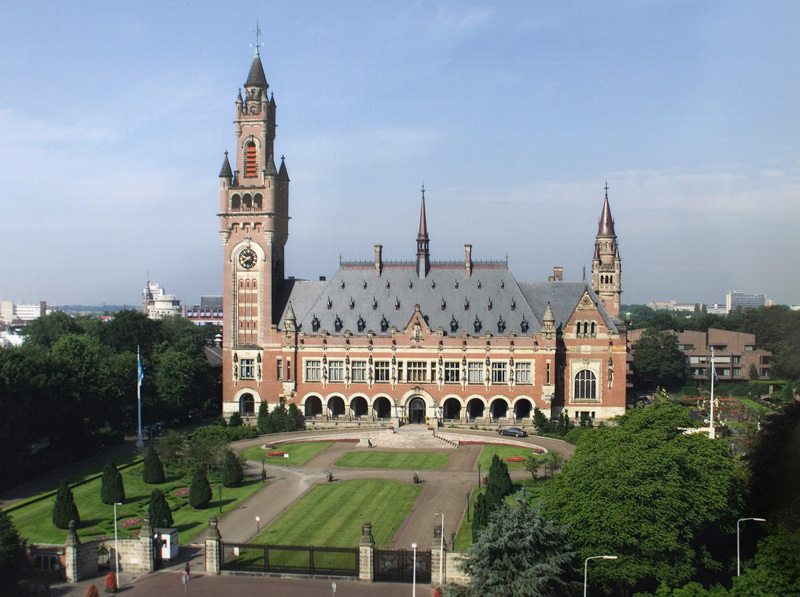 The hearings will begin next Monday, October 8, and run through Wednesday, October 17, at the Peace Palace (right) in The Hague, Netherlands. If you can't make it to The Hague, you can watch the hearings live online. Here's the how-to to make sure your computer is video-ready for these webcasts. After the fact, the hearings will be available in the multimedia archive here. As detailed here, the case arises out of a 2010 joint request by the 2 West African countries, which have pledged to be bound by the ICJ's determination of their contested boundary.